This update is aimed at the technical side of theme settings. This information is for designers using our prebuilt themes. Having multiple options for things. 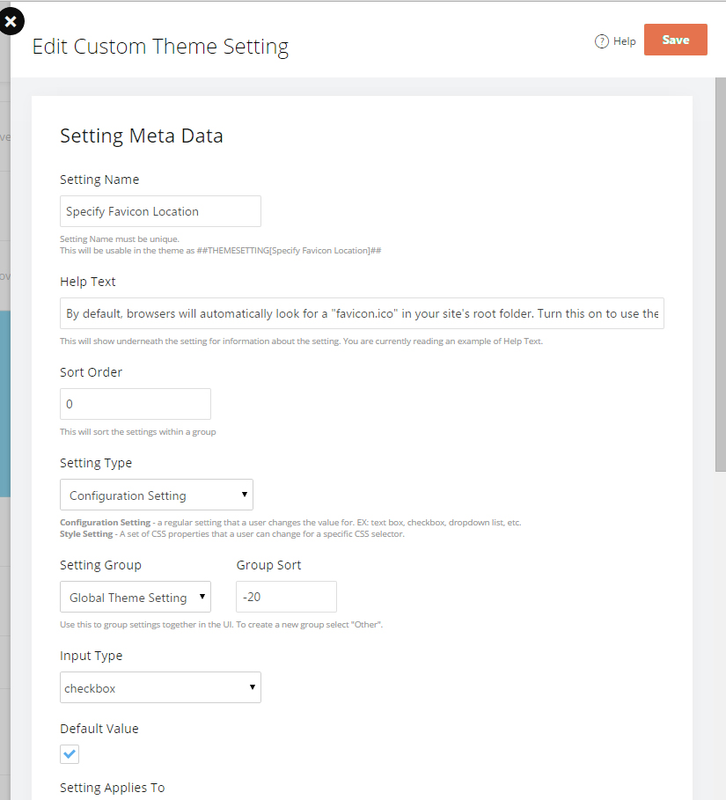 To create these settings, the easiest way is to use the Custom Theme Settings editor in the Theme Admin. 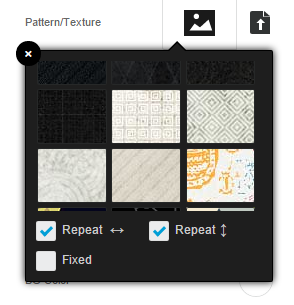 NOTE: This option is only available on sites flagged as Designer Sandboxes. You will need to contact Support to have this feature enabled. 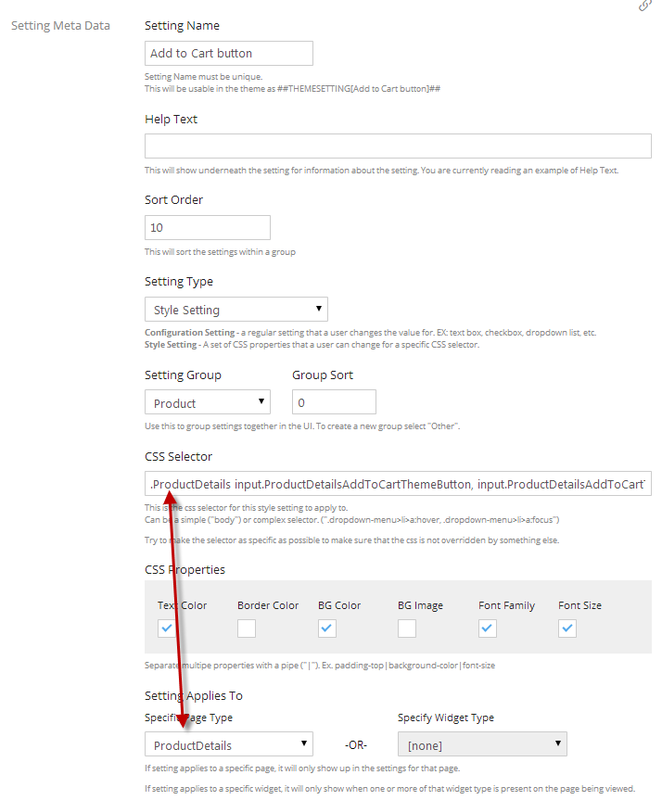 This page lets you configure a new setting, and how it will look in the UI. The bottom of the overlay will show how the actual setting information is stored. It’s important to not create duplicate Setting Names since the name is how the settings are looked up. Settings can be grouped together in any group. Selecting the input type determines how the setting will be used and appear in the UI. 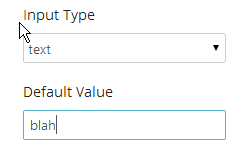 Whichever Input type the designer allows them to set the default value for that setting. 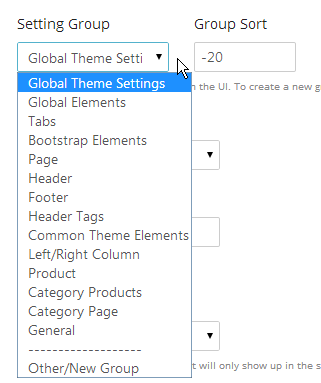 NOTE: By default, settings are Global and will appear in the Global Theme Settings section in Live Design. Settings can be implemented in the theme several ways. ##SETTING## and ##THEMESETTING## are interchangeable. 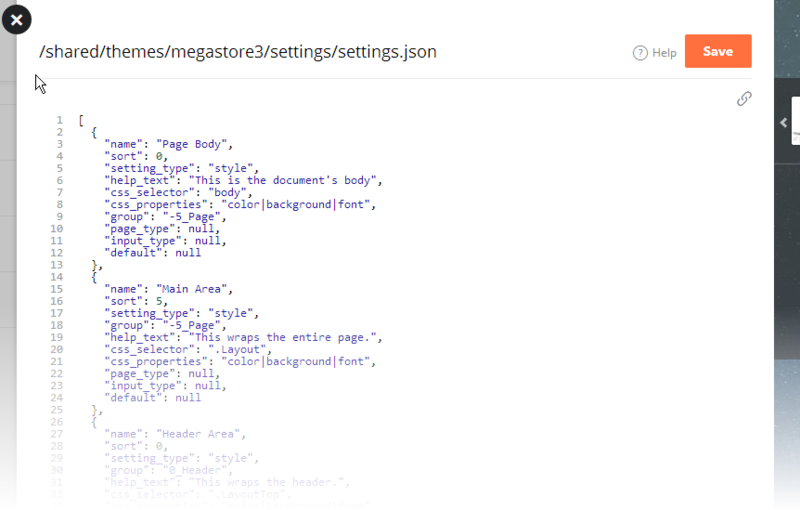 NOTE: This will render a <span> tag around the text for live updating in live design, so if <span>’s have some kind of styling, it could create a discrepancy between admin/non-admin sessions. 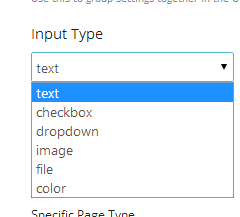 will render the text of what is shown for the selected option of a dropdown setting. This will also render just plain text without the <span> wrapper as mentioned before. There is a new conditional syntax that can be used with theme settings. The new syntax supports things like else, elseif, as well as nesting. Show [Service] Icon – hides individual social service icons but only if the first setting is checked. 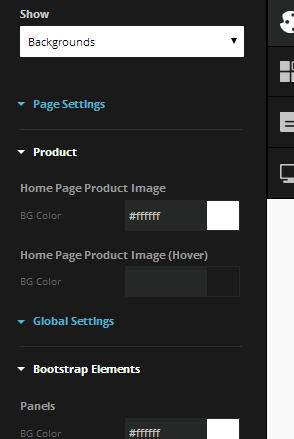 Style settings allow the theme designer to give the user limited control over specific page elements. They are configured similar to config settings but have a few different options. They must come up with a good CSS selector for the element(s) they are trying to target as well as which properties they want to be changeable. 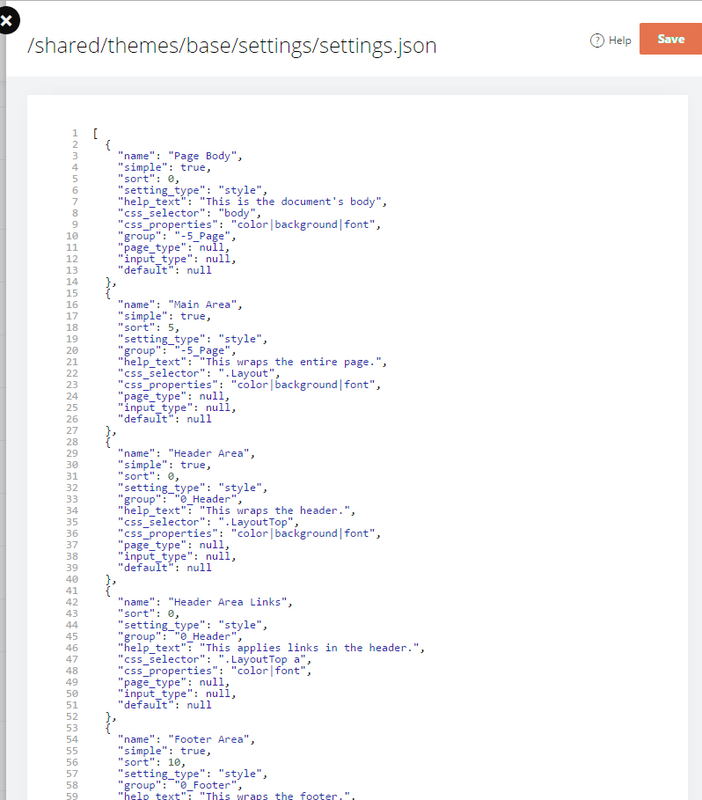 If they select a PageType they setting will only show up when viewing that pagetype AND the selector is prepended with a specific class for that PageType. 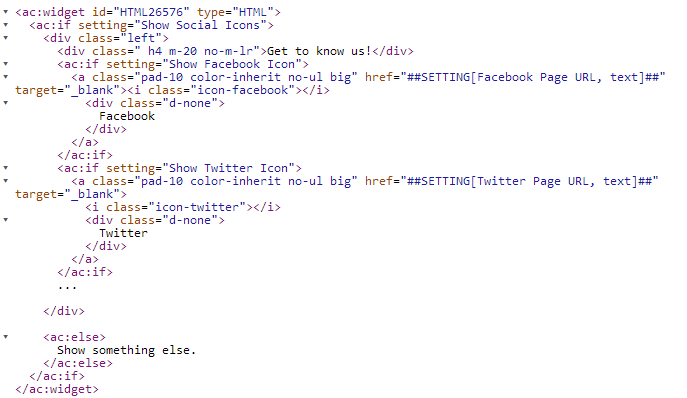 This keeps the css from applying to the same elements but on other pages. The Add to Cart button on the Product page can be styled differently from the Add to Cart buttons on Category pages, or anywhere else an Add To Cart button may be. 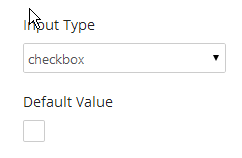 Depending on which properties are checked determines where the setting will show up in the panel. 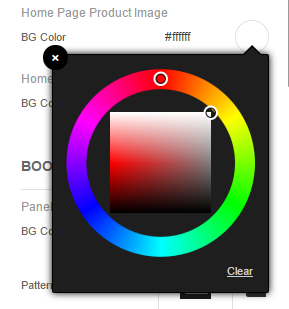 NOTE: BG Color will ONLY show up in the Colors section if BG Image is NOT also selected. 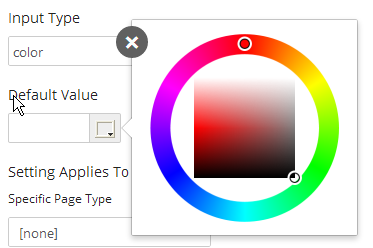 This is intentional due to the fact that background-image in CSS overrides a color. This is to eliminate possible confusion if something has a bgimage set and the customer is trying to change the color but doesn’t see changes applying. This really could be confusing either way so this may change based on feedback. 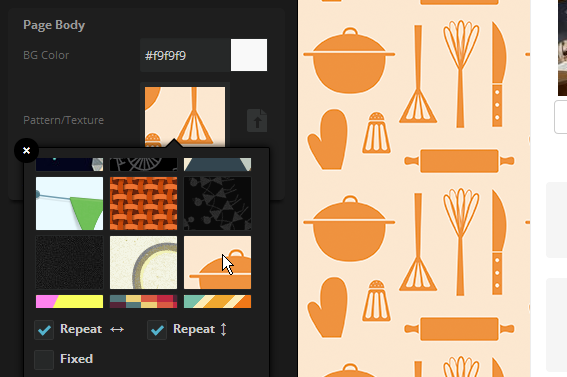 The Background Image picker allows to choose from over a 100 default patterns. 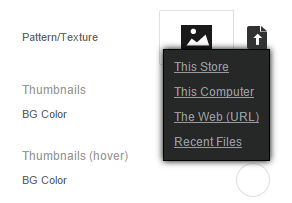 There is also an upload/insert icon to the right of the preview which is a miniature version of the Admin Filepicker. 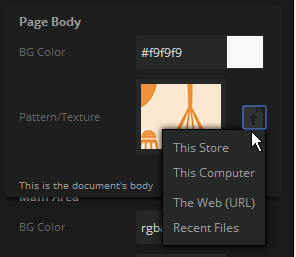 Customers can insert from the store, upload via normal system file browser, external url, or from a list of recent files.